We carry authentic spark plugs for different makes and models. Spark plugs create electrical energy inside the combustion chamber of the engine that kindles the mixture of air and fuel. This ignition enables your wheels to turn. Since metals are removed every time sparks are made, these parts eventually wear out. So it’s important to find replacements immediately. Our options of spark plugs are all Mopar-manufactured and are guaranteed to fit for your engine. We also offer a manufacturer-backed 12-month warranty on this product. 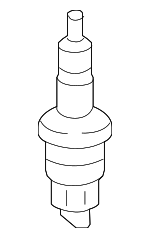 We have spark plugs that are suitable for 6.4L V8 and 5.7L V8 engines. If you have any questions about this item, our in-house experts are here to help. MoparOnlineParts also prioritize information security for all of our customers.